Hardik Pandya once again finished the game for MI. 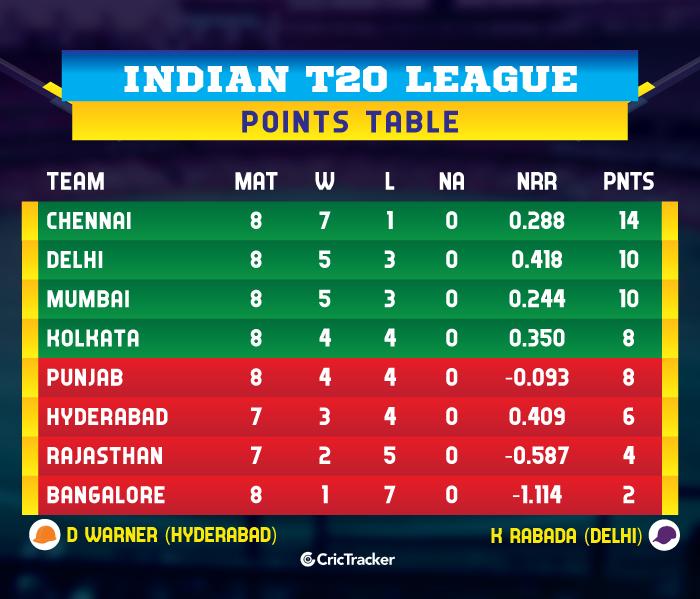 After the win against the Kings XI Punjab (KXIP), the Royal Challengers Bangalore (RCB) were back to the losing ways when they faced the Mumbai Indians (MI). Lasith Malinga, coming back into the eleven, was on fire straight away. He picked up a four-wicket haul in the match and delivered a match-winning performance. His bowling towards the end of the innings ensured that RCB didn’t get to a par total. In the second innings, Rohit Sharma and Quinton de Kock played good cameos. However, the spinners did well in the middle overs and shifted the pressure back to the home team. But with an unbeaten 37 from 16 balls towards the end, Hardik Pandya helped MI get over the line with ease. The RCB batting was docked very early in the innings after they were put into bat first. Skipper Virat Kohli was foxed by Australian pacer Jason Behrendorff. He found the batsman’s edge and it carried comfortably to the wicket-keeper. Kohli only managed to score 8 runs in this match. Parthiv Patel played some high-risk cricket. It paid off initially but he couldn’t carry on that way for a long time. After accruing 28 runs from 20 balls, the left-hander fell to Hardik Pandya. After this, AB de Villiers and Moeen Ali put up a good show unitedly. They added 95 runs before Lasith Malinga dismissed Moeen Ali as soon as he got to 50. The last four overs didn’t go well for the visitors. Malinga and Jasprit Bumrah bowled these overs in tandem and chocked the opposition. Only 35 runs were scored in these overs and Kieron Pollard ran AB de Villiers out in the final over. He affected a direct hit from the deep to send the South African back after he scored 75 runs. Thus, RCB finished at less than what they’d have wanted to and got just 171 runs. Malinga picked up a 4-wicket haul in the innings. Rohit Sharma and Quinton de Kock got the Mumbai Indians off to a flyer. 67 runs were added when the field restrictions were on and that was half job done for the home team. However, right after the powerplay, Pawan Negi bowled a good over. Following that, Moeen Ali picked up Rohit in the next over for 28 runs after a ball turned back sharply into him. The same bowler also dismissed the dangerous looking Quinton de Kock for 40 runs. The spinners started with up pressure as the ball started turning drastically. However, Ishan Kishan cut loose and shifted back the pressure to the visitors. He scored a quickfire 21 from only 9 balls which was highly valuable in the context of the game. Suryakumar Yadav scored a brief 29 off 23 balls but the pressure was still on the home team. However, Hardik Pandya continued his carnage in the tournament and was on fire towards the end. The all-rounder scored 37 runs from 16 balls and smashed five fours and two sixes. 22 runs came off the 19th over and the job was done for the Mumbai Indians with six balls to spare. 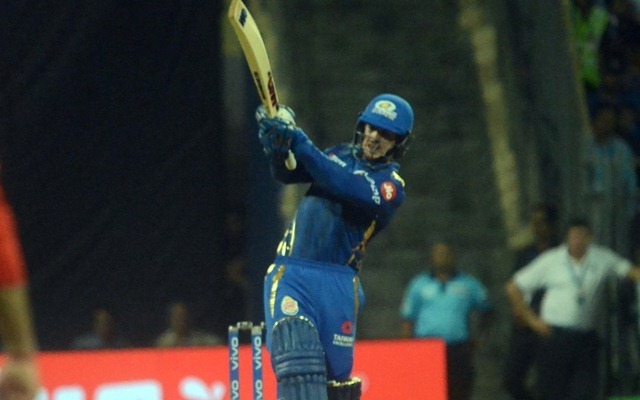 Result: Mumbai Indians won by 5 wickets.